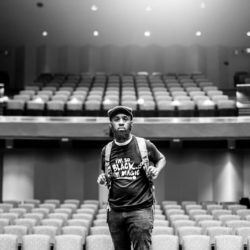 Our weekly roundup contains several family-friendly events, but it may be an excellent weekend to hire a baby sitter or send the kids to grandma’s while the adults have a good time. 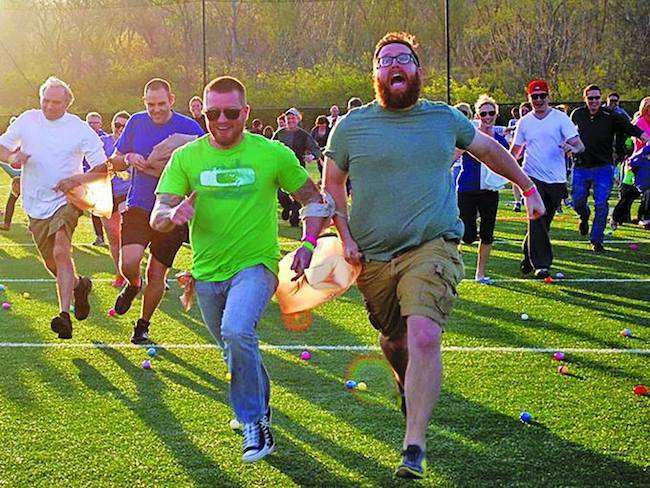 Oaklawn is continuing their Progressive Cash Giveaway, there will be an Adult Egg Hunt in Fayetteville with tons of prizes, and you can taste great food, listen to great music and enjoy lots of great beer at Brews and Bites. 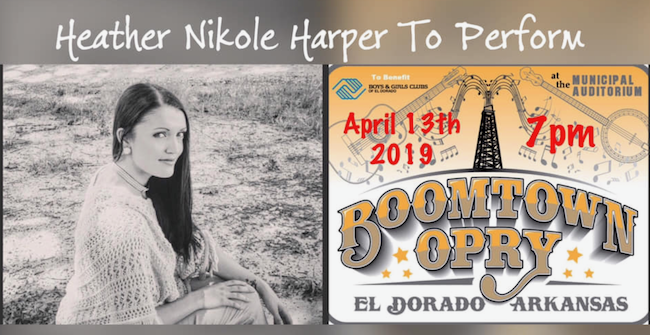 Plus you can enjoy the arts with a ballet in Jonesboro, the fifties show in Hot Springs, and Heather Harper performing in El Dorado. Have a happy grown-up weekend! 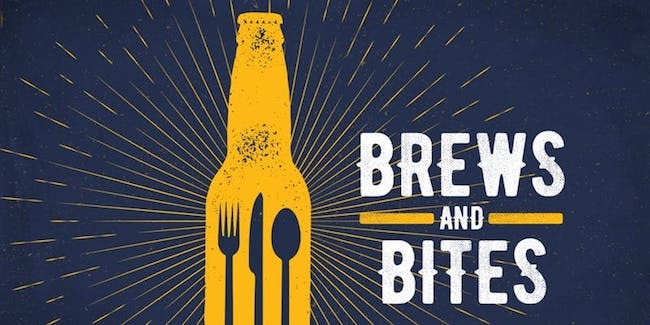 Outlets of Little Rock will be hosting the 2nd annual Brews and Bites this weekend. 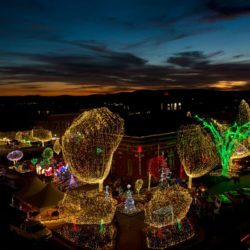 It is the ultimate festival with Arkansas’ most popular food trucks, craft breweries, and entertainers. 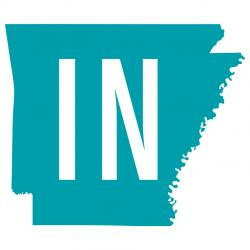 The delicious day benefits the Arkansas Hunger Relief Alliance & Arkansas Food Bank. Time: 12 p.m.- 5 p.m.
Head to Northside Rotary on April 13, for the Adult Easter Egg Hunt and Bunny Trail on and around Dickson Street. It is your chance to win tons of prizes while supporting women and children in Kenya! Festivities will start at 5 p.m. The event kicks off at C4 — 509 W Spring St #250, Fayetteville. Eggs will be filled with awesome prizes — massages, hair cuts, drinks, gym memberships, tickets to shows, Razorback gear, gift certificates and much more! You can also embark on the Bunny Trail — Pub-crawl. On the trail, you will visit our participating bars and vendors on and around Dickson Street. Each location will have more hidden eggs with more chances to win, AND each spot will hand out raffle tickets that can be used at the end of the night for big raffle prizes including a 49″ Big Screen TV from Sam’s Club in Bentonville. The final raffle will be at 8:30 p.m. at C4. Additional prizes for best “bunny” dress and most eggs found! You must be 21 to play! 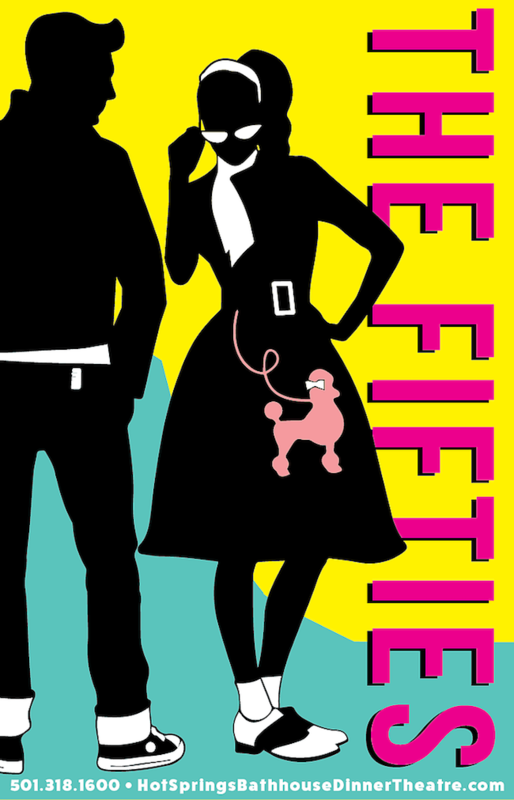 Time: 5 p.m.- 9 p.m.
A very large, talented cast of musicians, singers, and dancers will be celebrating everything you love about the fifties. This Dinner Theatre & Show will be highly entertaining, and you won’t want to miss out. The dinner buffet seating begins at 5:30 p.m. Advance ticket purchases are recommended. 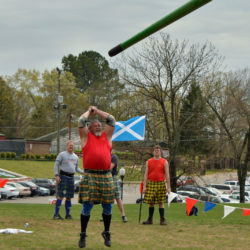 Live horse racing continues through the entire month of April for the first time in Oaklawn’s 115-year history and highlighting the action will be the Racing Festival of the South April 12 — 14. There will be lots of ways to win big prizes both at the track and in the casino. 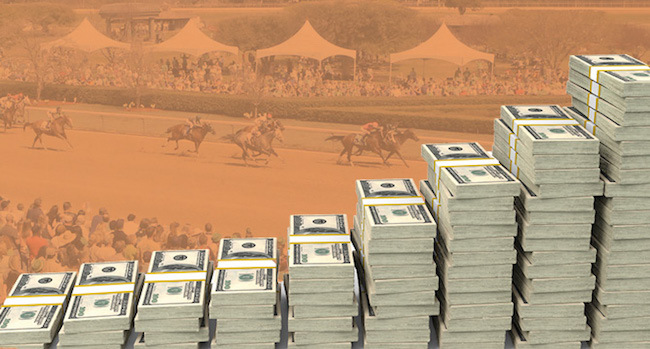 The best horses in the country will be making their way to Hot Springs for the Racing Festival of South, which kicks off Friday, April 12 with the $500,000 Fantasy Stakes (G3) and culminates Sunday, April 14 with $750,000 Apple Blossom Handicap (G1) and the $150,000 Fifth Season Stakes. In between, on Saturday, April 13 is the highlight of the Oaklawn season — the $1 million Arkansas Derby (G1) and two other stakes races — the $750,000 Oaklawn Handicap (G2) and $500,000 Count Fleet Sprint Handicap. Fans will have 54,000 reasons to come to the track Sunday, April 14 when the popular $54,000 Progressive Cash Giveaway returns. Guests just need to fill out an entry form starting Friday, April 12 and be present when their name is called. One name will be called after each race Sunday with the person called after the first race winning $2,000 on through the ninth race when someone will win $10,000. 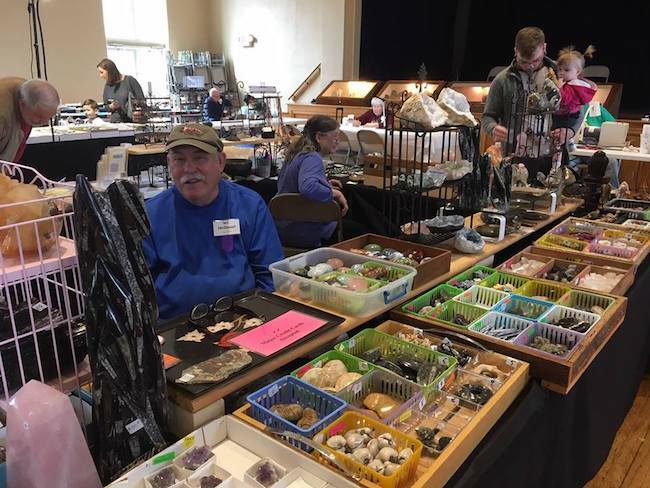 Head to the rock & gem show to find geodes, rocks, minerals, fossils, and jewelry. 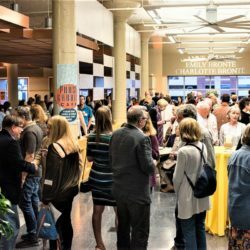 There will be a silent auction, prize drawings, live demonstrations, mountings, rough material, slabs, specimens, mineral identification, exhibits, and much more! This is a family-friendly event! Time: Saturday 9 a.m.-5 p.m., Sunday 10 a.m.-4 p.m. 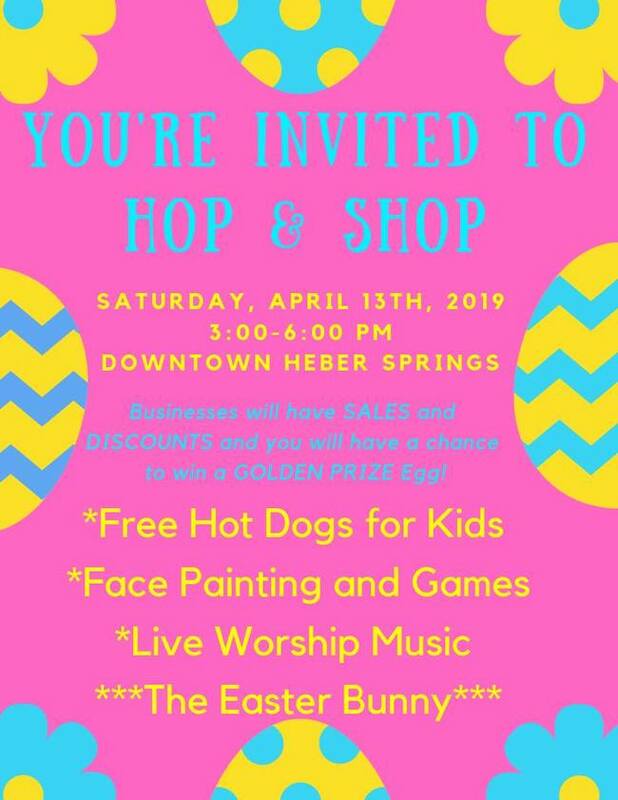 Downtown Heber Springs is hosting a Hop and Shop this weekend. Businesses will have sales and discounts throughout the store, and you will have a chance to find the Golden Prize Egg! The Easter bunny will be there plus there will be face painting, games, and live worship music! The Heber Springs fire department will be grilling free hot dogs for all kids under 18! Bring your lawn chair for when the band kicks off at 5! This beloved comedic ballet tells the story of a young man who falls in love with a girl who he has no idea is just a doll. Sure to make everyone giggle as the dancers leap across the stage. 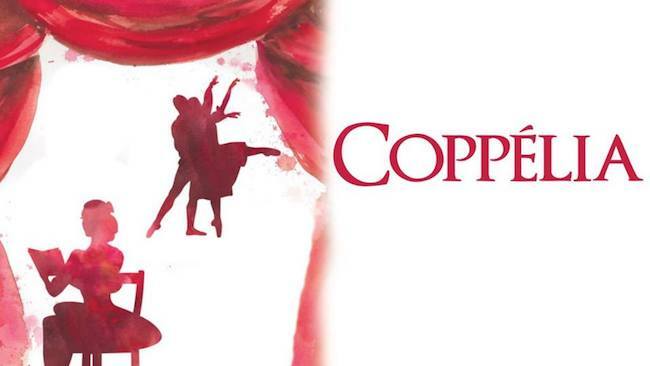 Head to Jonesboro and watch and learn more about the world of ballet at the Foundation of Arts! Spend a fun loving afternoon with the Mad-hatter, the Queen of Hearts, Cheshire cat, The Caterpillar, and Alice, Ms. Rabbit, and more while supporting the Tomlinson Art & Science Center. There will be finger sandwiches, cookies, drinks and of course TEA!!! 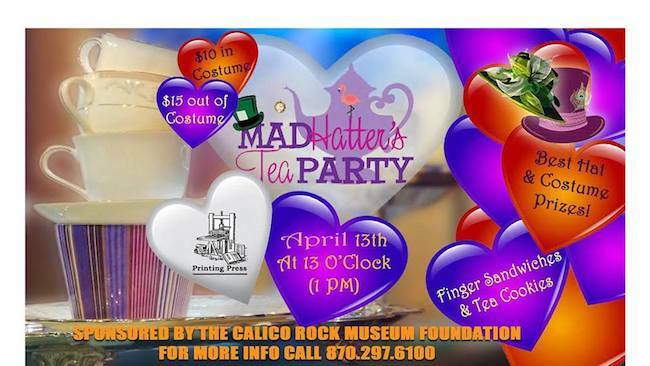 This event is sponsored by the Calico Rock Museum. Time: 1 p.m. — 4 p.m.